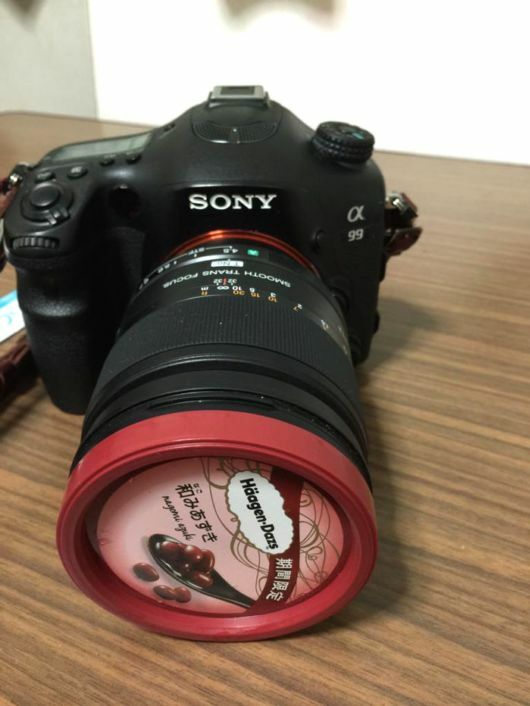 Most of us see ice cream as a way to fill our stomachs, but, as it turns out, it may also be used to protect your photography gear! 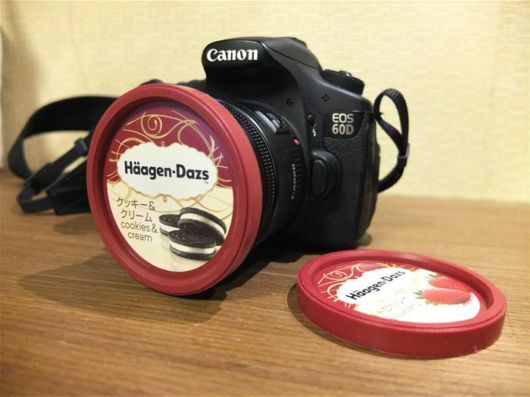 One Japanese photographer has discovered that some of Häagen-Dazs ice cream container lids are perfect for 72 mm lenses. 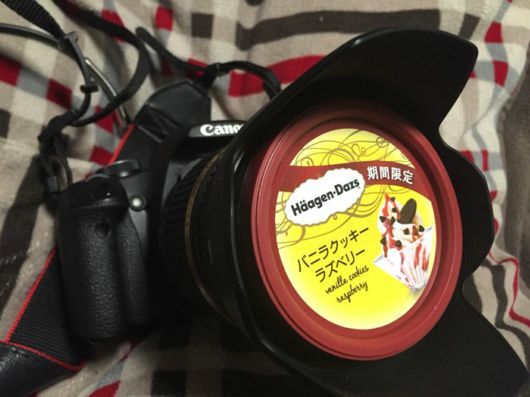 And, as his other colleagues have tested, the brand of the camera is not really important ? it suits them all. 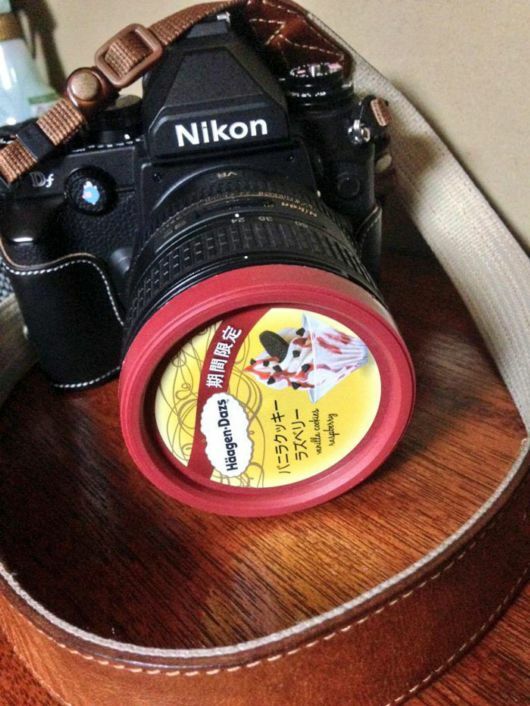 The lid is suitable for Canon?